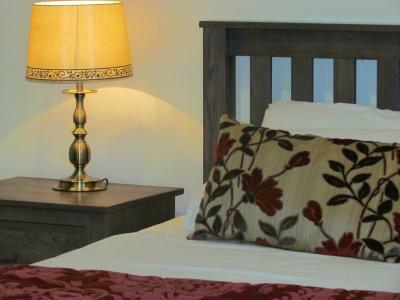 Lock in a great price for Black Mountain Lodge - rated 9.1 by recent guests. Everything was fantastic. 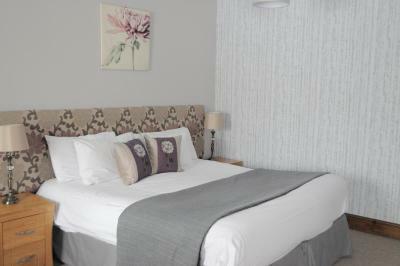 Friendly and helpful staff, clean room, great breakfast, nice and quite location. Lovely scenery, the room was clean, comfortable and well presented in appearance. Would definitely stay again. Everything. 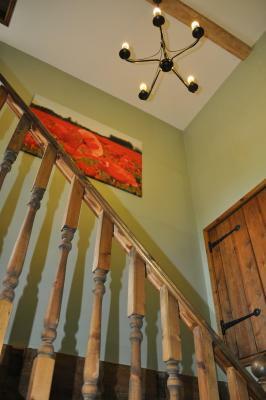 Gorgeous location, amazing accommodation, staff extremely friendly. Will most definitely be returning. Thank you! You couldn’t ask for better service! Enjoyed our stay, delicious breakfast. Recommendations in the local area were all great. 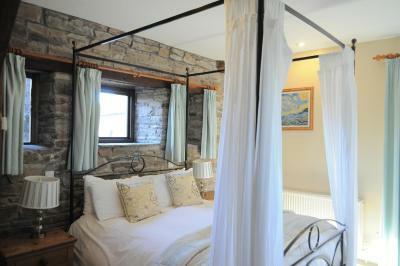 location was fantastic, our bedroom overlooked the hills with newly born lambs running around. bed was so comfy and a bath and a shower in the bathroom, that was well stocked with toiletries. Breakfast was probably one of the best we have ever had and we have stayed in lots of hotels world wide. we were fortunate to be blessed with glorious sunshine, so after checking in we headed to Elan Valley for a beautiful walk around Caban Goch and Claerwen reservoirs. returned to Hay on Wye for a wonderful evening meal in Red Indigo indian restaurant then back to our lovely room. After breakfast on Sunday we headed off to the Brecon Mountain Railway. 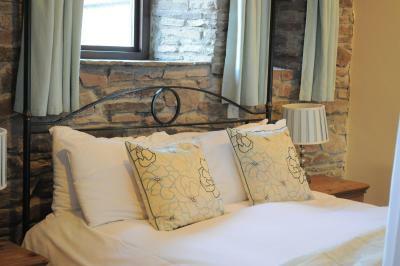 if you are thinking of booking this accommodation.....do not hesitate, it is absolutely superb! Location, cleanness, design of the building and the room was excellent. Breakfast was really good, coffee even better. Breakfast was first class. Lot's of choice, served by very friendly staff. Clam and tranquil location. The location, and if its a 3 star (not sure of the rating - seems to have 3 stars AND 4 stars on the various signage) it is very good value for money and very comfortable and nice decor. Breakfast is lovely too. Lovely and friendly staff. Amazing place surrounded by nature. Excellent breakfast. 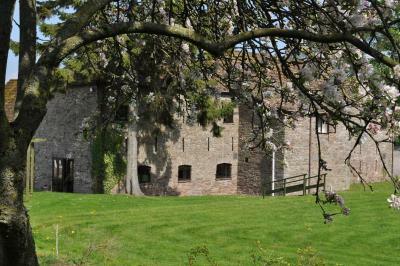 This lovely, old stone building is at the foothills of the Black Mountains amid beautiful countryside and views of the Brecon Beacons. 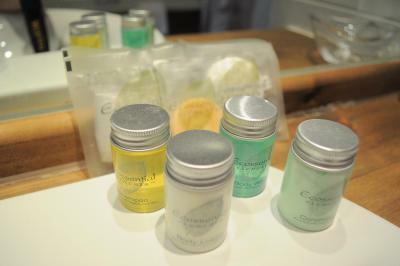 It has a restful feel, comfortable rooms and a free Wi-Fi zone. 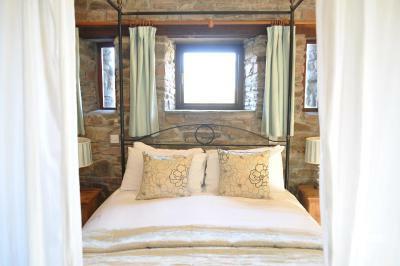 The oldest part of Black Mountain Lodge is believed to date back to the 17th century. It has ample free parking. 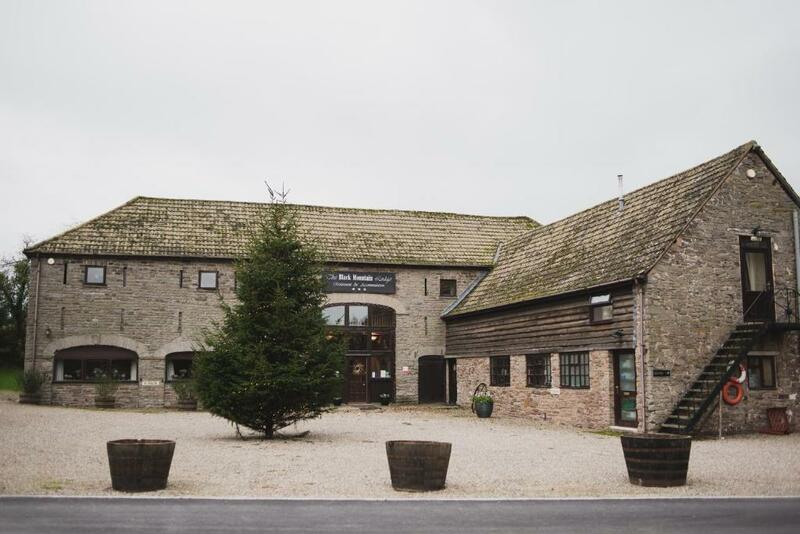 The Lodge is in the village of Glasbury, between Brecon and Hay-on-Wye, and is ideal for a peaceful country break. A wide of range of activities is available in the local area. Black Mountain Lodge has been welcoming Booking.com guests since 12 Feb 2009. When would you like to stay at Black Mountain Lodge? 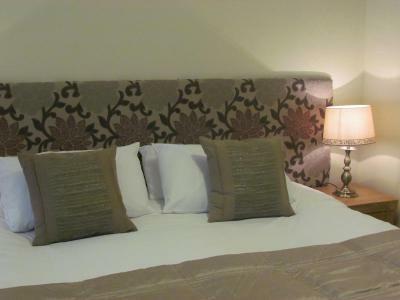 Deluxe room has a four-poster bed, flat-screen TV and tea/coffee making facilities. 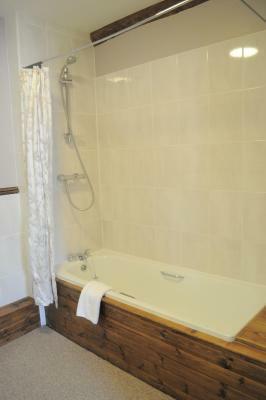 A large bathroom with his & hers wash basins, separate shower cubical and bath is also provided. This room has a TV and tea and coffee making facilities. 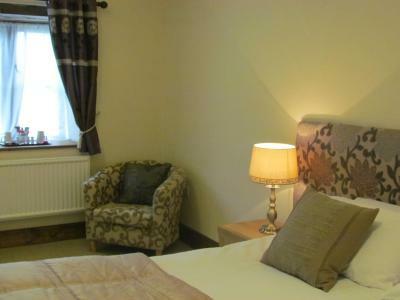 Spacious room with a feature window looking out onto the grounds and the pond and equipped with a flat-screen TV. 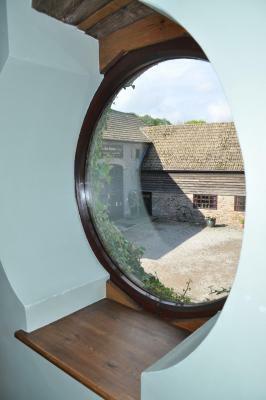 This ground floor room has easy access and is located in the newly renovated Barn. House rules Black Mountain Lodge takes special requests - add in the next step! 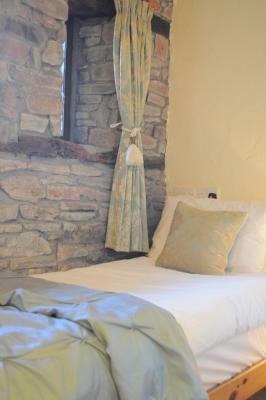 All older children or adults are charged GBP 27.50 per person per night for extra beds. Black Mountain Lodge accepts these cards and reserves the right to temporarily hold an amount prior to arrival. Please note that there is no restaurant or bar at the property. Travel is necessary to the nearest restaurant or pub. Please inform Black Mountain Lodge in advance of your expected arrival time. You can use the Special Requests box when booking, or contact the property directly with the contact details provided in your confirmation. With no restaurant on site for evening meals the choices near by are very limited. Lovely room and views good breakfast. there is nothing that needs to be changed, the location is perfect, the staff very friendly and the accommodation far exceeded our expectations. No Bar, quite dusty in the room - i was sneezing a lot. Water pressure low. Drink stains on the wooden furniture, broken window handle. Good food and a comfortable and well equipped. I think if I had fully appreciated I was the only person staying overnight in the building this might have influenced my booking. However, I am used to living in an old building and I did feel safe and secure. Next morning the staff were wonderful and the breakfast was excellent - which made up for any initial concerns I might have had. Others of a slightly nervous disposition may not have been! Brilliant breakfast!! So much was delicious!! 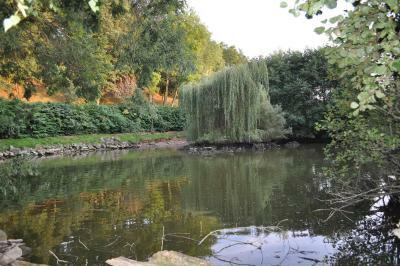 Very peaceful place in a beautiful area! !